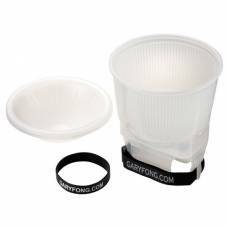 Achieve beautiful soft lighting with this collapsible flash diffuser. It fits most shoe-mounted flashes. 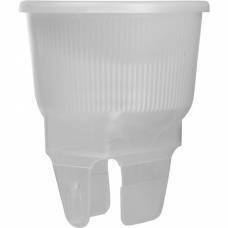 The Lightsphere Universal 1/2 Cloud is the same formulation as the Lightsphere Universal Clear sold .. 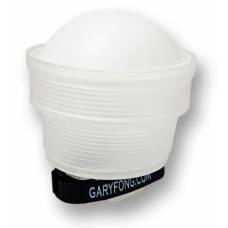 The Lightsphere Universal flash diffuser from Gary Fong delivers amazing light from your on-camera f..